On Wednesday, Israeli Intelligence Minister Yisrael Katz rejected claims by the Palestinian militant group Hamas that "an agreement was reached to return to a ceasefire in Gaza" amid the largest spike in tensions since 2014. 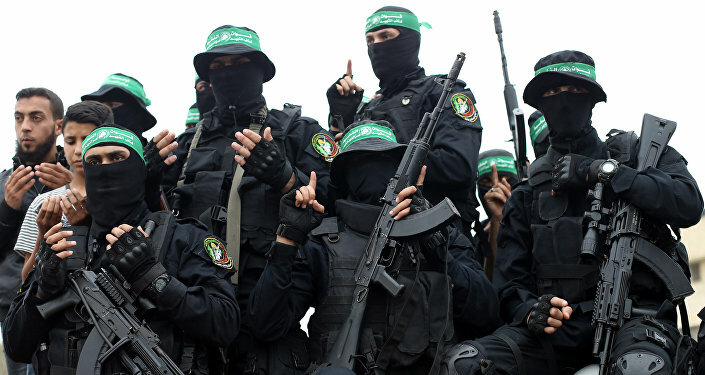 The Times of Israel newspaper has cited a senior officer in the Israel Defense Forces (IDF)'s Southern Command as saying on conditions of anonymity that the Palestinian Islamic Jihad (PIJ) group "has an approval by its commanders abroad to carry out terror attacks against us." "After it tried to carry out an attack at the beginning of this week and we killed three of the group's combatants, we understood it was going to react. We didn't know when it would come, but we prepared. We told community heads that gunfire could be directed at posts and communities," the officer said. He also warned that Israel has been "closest" to a war since the 2014 Gaza War, also known as Operation Protective Edge. "[…] If we don't stabilize the situation, we risk entering a slippery slope and being the reactors instead of the initiators," he said. The remarks came after Khalil al-Hayya, Hamas's deputy chief in Gaza, stated that "a number of mediators intervened in the past hours and an agreement was reached to return to a ceasefire in Gaza." Israeli Intelligence Minister Yisrael Katz, for his part, denied the Hamas ceasefire claims, saying that "Israel does not want the situation to deteriorate, but those who started the violence must stop it." On Tuesday night, the Israel Defense Forces hit 25 targets in the Gaza Strip to respond to mortars reportedly being fired from Gaza, with one hitting a kindergarten. The cross-border situation escalated on Monday, when an Israeli tank attacked a militant observation post in response to an attempted violation of the border by two Palestinians. The violent clashes between Palestinian protestors and the IDF on Gaza's border with Israel erupted in March amid the 70th anniversary of the formation of Israel, shortly following the recent relocation of the US Embassy in Israel from Tel Aviv to Jerusalem. At least 61 Palestinians were killed and 2,700 more were injured in the clashes. The Israeli military claimed that the protesters tossed improvised explosive devices and Molotov cocktails, while also burning tires and trying to break the border barriers, in what prompted prodded Israeli soldiers to fire at the protesters in response.